A recent recipient of an early career award now under investigation by granting agency EMBO told us today that last week’s retraction in Nature Genetics stemmed solely from an “embarrassing error,” and she hopes to republish the data in a new paper. 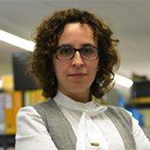 Last week was rough for Sonia Melo: Nature Genetics retracted one of her papers, and the European Molecular Biology Organization (EMBO) announced it was investigating the papers that formed the basis of her application. The retraction was of “A TARBP2 mutation in human cancer impairs microRNA processing and DICER1 function,” which has been cited 235 times, according to Thomson Scientific’s Web of Knowledge. Melo’s Installation Grant from EMBO was announced in December, and consists of 50,000 Euros annually for three to five years. She is currently based at the University of Porto, in Portugal. As I previously said, I stand by every bit of data published in the papers I co-author. There was no effort to commit fraud. I regret the lack of diligence I have shown with the Nature Genetics manuscript, my first manuscript as a PhD student, and the confusion it has caused to the readership and my colleagues. Unfortunately the Nature Genetics manuscript got retracted because duplicated images were identified some even in the same panels of the same figure. This embarrassing error was not identified by anyone who has scrutinized the manuscript before publication, especially by myself, as the first author, who had a high responsibility in carefully looking at the final manuscript. The first version of the submitted manuscript shows that the figures were accurate without the duplication that appeared in the final version. The published correction (2010) to the manuscript happened because one of these mistakes was identified soon after the original publication. At that time point this was taken as an isolated error, which happened during final figure assembly of the images. Unfortunately, I failed to see the other duplicated images in the manuscript. The raw data registered in the Lab notebooks shows to be correct, the original submission files do not have duplicated images and therefore I stand by the data reported in the manuscript and it is my aim to re-publish this original work in a near future. As for further comments/concerns, which arose on pubpeer, the authors and respective institutions have not ignored them. All concerns were addressed, raw data registered on notebooks was analysed and reports developed for each case. The data was shown to be correct so no further action was taken. EMBO was informed of all these facts and is evaluating if these affect my evaluation for the EMBO Installation Grant I was recently awarded. Until now, and because the Nature Genetics retraction process was ongoing, I chose to remain silent. I was not and will not be available to participate in discussions that occur under the auspices of anonymous contributions and unclear moderation. I am however available to answer further questions that aim at clarifying open issues and that contribute to increase the transparency due to the scientific process. Therefore, if any entity or organization wants to formally contact me, I will be happy to provide any details required. If you’re the first author, you’re the one who PUTS the images into the manuscript. You know which image is which, because you’re also the one who TOOK the photos and SAVED them. Not buying her claims. That’s not necessarily true. People may have lab techs who do things for them. People might also be working under intense pressure especially ahead of a PhD thesis defence. Believe it, it happened to me twice. Fortunately, I had my paper checked by a friend who spotted the mistake. Note that none of my co-author noticed it. Also understand that in several laboratories e.g. in the south of Europe where I work – I don’t know about the US or the rest of Europe – supervisors rarely look at the figures or raw data. Dr. Melo is applauded for speaking openly and frankly to defend her record. However, it is important to note that it was precisely the anonymous voices that she does not wish to engage with that were responsible for drawing attention to the public about these concerns and/or errors and that have started to lead to the corrections in the literature that we are now seeing, starting off with this first retraction. Unfortunately for Sonia, the anonymity of the Pubpeer commenters does not change the validity of their accusations. This seems to be a favorite tactic among those who have their work flagged on pubpeer with very problematic issues – instead of addressing the concerns they simply hide behind the fact that the commenters are anonymous. Very few people are going to buy this excuse. If she were serious about rescuing her integrity, and really does have raw data for all flagged experiments on pubpeer, she would post it along with explanations for the scientific community. Otherwise her work is going to be suspect in the future. And somehow these individuals also seem to forget that pre-publication peer review is also anonymous at most journals. But surely they take those anonymous comments seriously. Bobo, please do not confuse anonymous with blind. In pre-publication peer review, reviewers are blind (i.e., unknown to the authors, but known to the editors). In PPPR, such as many of the comments made anonymously about Melo et al.’s work, the identity of the commentator is unknown to all parties. These are completely different situations, each with their own merits and demerits, but that should never get confused. No, from the viewpoint of the author, they are virtually identical. Just because an editor has selected a reviewer does not mean that they are competent to judge the work or free of conflicts of interest. And to the author, the reviewer remains unknown. You have confused me. The reviewers are blind to the authors in pre-publication review. Why exactly should she respond to anonymous comments? I know I wouldn’t. She makes it very clear she will respond to all formal inquiries. Step 1) Talk to me. Step 2) Talk to the journal. Step 3) Other (incl. anonymous comments). It is extremely frustrating to always hear these kind of excuses: “embarrassing error”, “honest mistake”, “unfortunate oversight”, “regrettable this and that”… from people who have their work published in top shelf journals. Am I really supposed to buy that the prospect to have a publication in such a prestigious format is not by itself enough motivation to produce impeccable manuscripts? If something is so important and desirable for furthering one’s career, does one really become so unfazed by it that one does not check every page thrice before pressing the “SUBMIT” button? It just makes a mockery of every honest person out there who is diligent about their work and would not dream of being so indifferent about their publications. What is the accountability of the reviewers of the manuscript and journal editor? It is clear that many of the retractions published by RetractionWatch could have been avoided by journal reviewers and editors taking their job seriously. First, what about the accountability of the 16 (sixteen!!!) co-authors of the Nature Genetics? Did they read the drafts, the submitted paper, the proofs and/or the published article? 2. Reviewer comments during the prepublication review of papers. 3. Reviewer comments in the course of postpublication review of papers, for example at PubPeer. I also respond to those who do 1-3 in their own name. The only differences between (2) and (3) is that (2) is somewhere between 2 and 5 people, whereas (3) is any number of people. It is to be expected that (3) will raise far more questions, because the more brains on the case, the more thorough the scrutiny. So I fail to see the logic of undertaking (1) and (2) but not (3). Perhaps someone could enlighten me? Well, not necessarily enlightening, but in (2) at the very least there is a supposedly independent adjudicator, the Editor, who you can communicate with about the comments received and who knows the identity of the reviewer. Please also note the “unclear moderation” of the anonymous discussions; and as a woman in science, I clearly understand her fear. In that respect, I have to acknowledge that Pubpeer has done a good job in recent months to make sure that comments are polite and remain within the confines of scientific exchanges. Some thoughtful viewpoints in the preceding string. If scientists profess to believe in “data,” then would they not agree that the allegation is -in effect- made solely by the data? The credibility of an anonymous comment is quite immaterial to assessing its merit. Caution: The first author on a publication is not always the puppetmaster you would assume. If you’ve served on a junior faculty search committee, you’re aware that some of the “top” candidates, as ranked inevitably by publication # and IF and pedigree in top labs, look amazing on paper but don’t seem especially on top of things when they show up for the interview. I’m not suggesting this is or is not Melo’s case, and her comments imply responsibility, just that there could be more to the story. Who changed the figures from Melo’s first version, which she said was correct? Is it possible that Melo has some responsibility but is also a sort of victim? There are several co-authors for whom every primary co-authorship with Melo is being scrutinized. Who knows their role? One of these “perfect intersection” co-authors has authorship on about 70 articles with entries on PubPeer. Does the culture of some labs and mentorship/collaboration networks cause problems? Or do high-profile and shockingly prolific group leaders naturally attract scrutiny from competitors, uncovering problems that are also present but never exposed in less scrutinized groups? I am curious as to what happens when researchers have problems with their publications generated with previous institutes. What is the expectation of their current institute? As of 29 February 2016, Sonia Melo EMBO installation grant has been withdrawn. 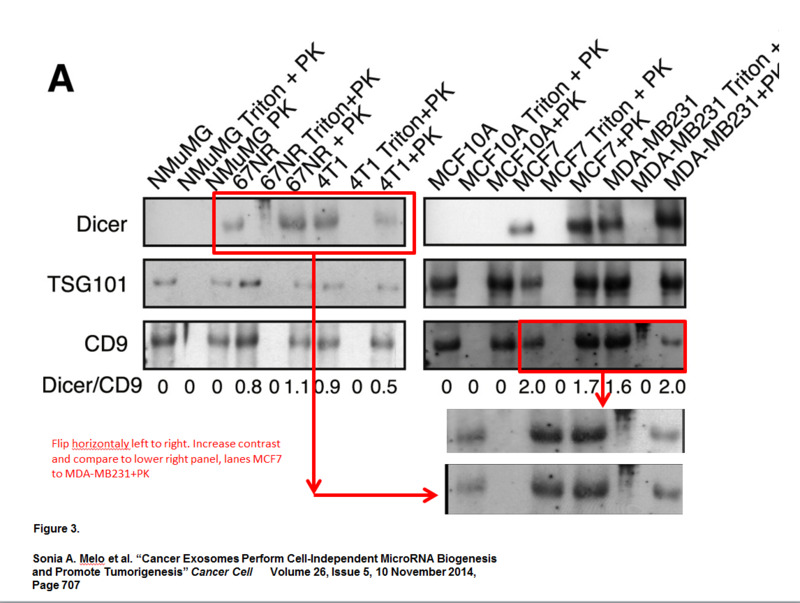 Summary of Melo / Esteller entries at PubPeer.